RUSH: Back to the archives, ladies and gentlemen. One of the most controversial bits — well, actually at the time it was controversial and it was well appreciated and understood, tax the poor. RUSH ARCHIVE: It is time to get serious, and it is time to get tough about tax policy in this country. The middle class, coupled with the rich, make this country work. Those two groups working together in unison are what make this country work. Now, what’s slowing this country down? Tell you who it is. The poor. The poor and the lower classes of this country have gotten a free ride ever since the Great Depression, when it became noble to be poor. Look at how we treat the homeless, why we celebrate them, why we make romantic figures out of them, why we make movies about them. We teach them to dine in Dumpsters now because America is so impolite, America doesn’t care, America is so rude. My friends, we have the wealthiest poor in the world. They’re the ones who get all the benefits in this country. They’re the ones that are always pandered to. We have been encouraging poverty because they need government. And Democrats love giving money away to the poor, because it creates a need. And, boy, have we created a dependency class, and do they give anything back, do they pay any taxes? No. They don’t have to file any income taxes. They don’t pay a thing. They contribute nothing to this country. They do nothing but take from it. It is serious. It is time to get serious about raising taxes on the poor. Now, I know what you’re saying. You’re saying, ‘But, Rush, what do we do if we can’t collect the money they owe? What if they just can’t pay?’ The poor in this country have an average of three television sets in their house. Let’s go get two of them. I am sick and tired of playing the one phony game I have had to play, and that is this so-called compassion for the poor. I don’t have compassion for the poor, because I think they can do something about it. What if we all decided to be poor? What if we all said, ‘I don’t want to pay taxes. I’ll just be poor, and I’ll rely on the Democrats, and I’ll derive my happiness by watching the news on my television set that the rich are going to be punished.’ Yeah. My friends, may I have your attention, please, for just a moment. As you know, today is April Fool’s Day, and I have in the past steadfastly avoided playing these April Fool’s games because everybody else does. I was unable this year to resist the temptation to do it, beginning today with my now infamous Morning Update, which suggested raising taxes on the poor as a means of finally being tough with the economic problems we face, and of course on today’s show, I have expanded my philosophies and have spoken at great length about what I consider to be the true problems in solving our economic malaise. How about ozone depletion? How about global warming? What do you really know about it? You just think ’cause somebody who sounds authoritative says it, ooh, man, it must be true. You want to believe the worst. You want to believe the worst is happening; you want to believe the worst in people. Ask yourselves about all of these things that you just accept. You should have heard some of the comments that they were getting at the time switchboard, from people who have listened to me for three and one half years. Now, I know what’s going to happen. ‘We’re safe, we’re okay, Rush, we’re just kidding.’ And then the press. You know this is going to happen. The press is going to say, ‘Yeah, you may have been just kidding, yeah, April Fool’s joke, yeah. But look how easy it was for him to say it. 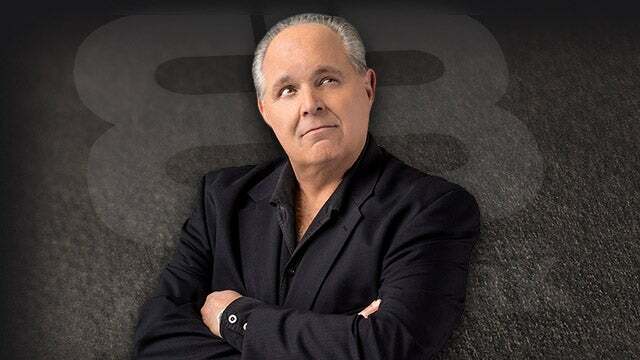 It really is in his heart.’ As always, my friends, it was a brilliantly conceived, flawlessly executed Rush Limbaugh bit. RUSH: And I was right. The press went with it without explaining that it was an April Fool’s joke. Patsy Schroeder referenced it on the floor of the House of Representatives, a bunch of other Democrat and liberals. By the way, the condition of the poor has vastly improved since the tax the poor update. That was April 1st, 1991, by the way. They now have flat screens and two cars, on average, in the average American poor household. And, by the way, one thing before we go to the break with the sound quality, some of these old bits were only originally recorded on cassette, and that’s why you think the voice might sound different. We didn’t start going reel-to-reel right off the bat. We just used cassettes. We’ve tried to EQ and master some of the cassettes, and we’ve done the best we could with it, but that’s why the S’s sound squishy and the quality is a little off. Just so you understand.